Walkable, Bikeable StreetscapesAn alternate way to get to work. 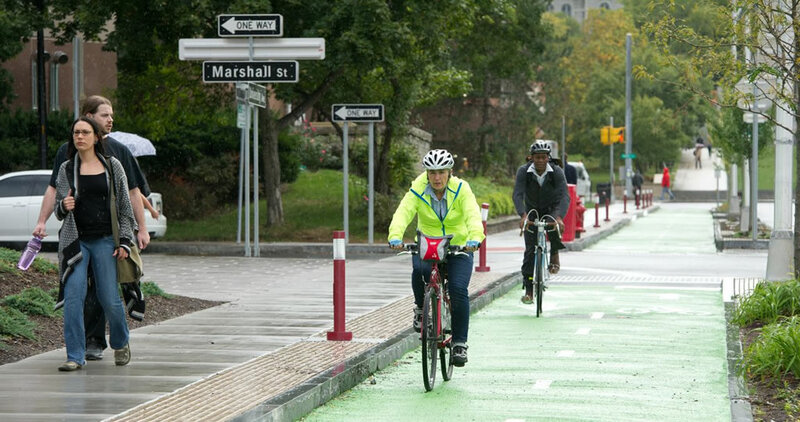 The Connective CorridorBike lanes offer alternate means of transit on Syracuse streets. Click the title for schedule, maps, and other info about the free Connective Corridor bus. Click the title for information about the forthcoming wayfinding signs along the Connective Corridor. Browse interactive maps of bus routes, cultural venues and more. The Connective Corridor is a public-private partnership focused on creative placemaking, urban revitalization, complete streetscapes, sustainability and smart growth. 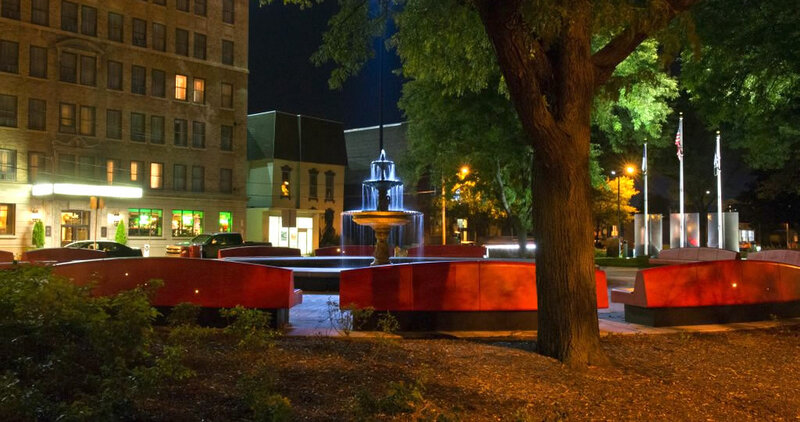 The Corridor links academic institutions on University Hill with downtown central business districts and neighborhoods, and connects an arts and cultural district featuring more than 30 venues. 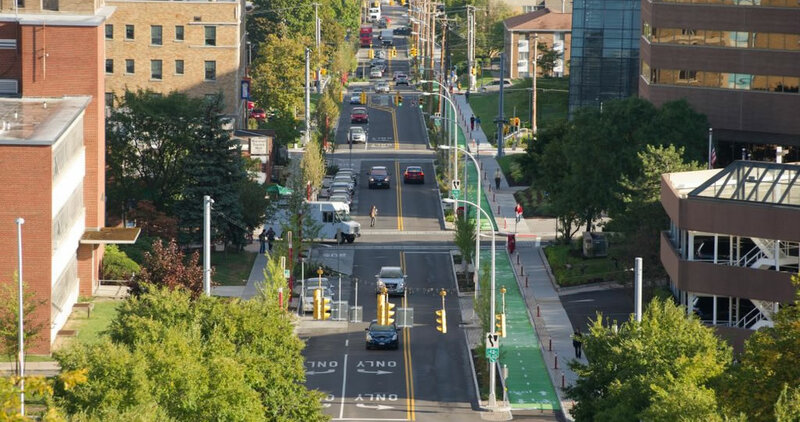 It represents the largest new civic infrastructure investment in the City of Syracuse in many decades, creating new pedestrian pathways, streetscapes, green infrastructure, bikeways, redesigned public spaces and public art. It has been a catalyst for new private sector investment and is a living urban laboratory for multi-disciplinary teams of faculty and students working on research and implementation projects across the Connective Corridor. It has been recognized nationally and internationally for its collaborative model, and for excellence in planning, engineering and design. It is a true example of civic entrepreneurship, and we hope other communities learn from our best practices and implement initiatives like this across the country.